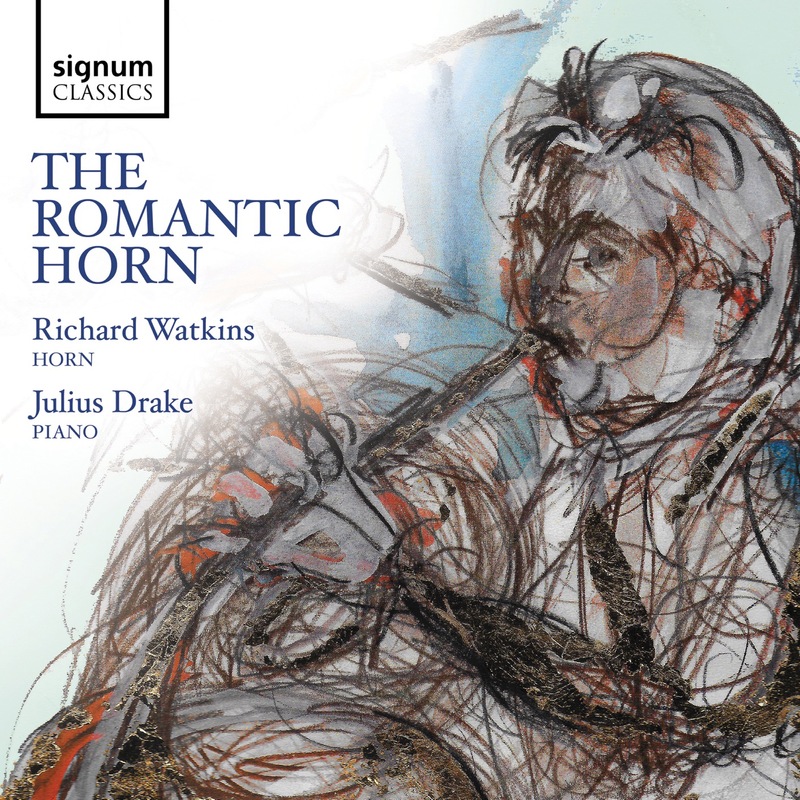 This recording presents a selection of some of the most well-loved works for the horn. Titled The Romantic Horn, the works highlight the lyrical gems of the European repertoire for the instrument, with works by Beethoven, Schumann and Scriabin. Richard Watkins is one of the most sought-after horn players of his generation. He was Principal Horn of the Philharmonia Orchestra for twelve years, is currently a member of The Nash Ensemble, and is a founding member of London Winds. His extensive discography includes recordings of concertos by Mozart, Malcolm Arnold, Reinhold Glière, Ethel Smyth and Colin Matthews, as well as Mozart’s Sinfonia concertante and chamber music for horn by Schumann, Schubert and Poulenc. Pianist Julius Drake lives in London and specialises in chamber music, working with many of the world’s leading artists, both in recital and in the recording studio. He performs regularly across the globe, in venues that include include Amsterdam’s Concertgebouw, Berlin’s Philharmonie, and New York’s Carnegie Hall; and festivals such as the BBC Proms and Salzburg Music Festival.